When someone is having problems with their memory, what can be done? How do you help those who suffer? Is there a way to provide care for those who have a loss in their memory function? The good news is that there are things that can be done to help those who are having memory difficulties. Whether your loved one is just having some early stages of memory difficulties or has more advanced memory loss, there is help that can be provided. One type of assistance is through a memory care center where the individual is initially evaluated and are then involved in a memory care program to assist them with their difficulties. Maplewood of Sauk Prairie offers memory care services for those who are faced with the difficult challenges of memory loss, including dementia and alzheimer's disease. Our memory care programs are offered within Evergreen Court, a special unit dedicated specifically for memory care residents. This secured area is staffed by our wonderful team who have been specially trained in the areas of memory care treatment. Evergreen Court offers 14 private rooms with handicap accessible bathrooms. This quaint setting provides ongoing support through memory activities, interactions with others and a place where special attention can be provided for the specific needs of each of our residents. Through a structured program, our staff works with our residents to include ongoing daily activities that supports their mind and supports them as a unique individual. Daily games, crafting, interactive activities and special events make Evergreen Court a special place to assist those who are having memory difficulties. In addition, this special unit has its own outdoor courtyard where you will find residents taking care of flowers, conversing with one another or just taking in some beautiful weather. At Maplewood, we understand the impact that memory loss, including dementia and alzheimer's disease, can have on a family. You want the absolute best for those that you love and that's exactly what we want as well. If you have a loved one that needs memory care treatment, we encourage you to call us and speak with us directly about how we may help. Call us at 608-643-3383. We would be happy to talk with you and answer all of the questions that you may have. 1 After the faux pas, Joy Behar, from The View, made about “nursing” being the talent Miss Colorado, Kelley Johnson, showcased during the Miss America pageant, nurses at Maplewood show support for nurse Johnson. 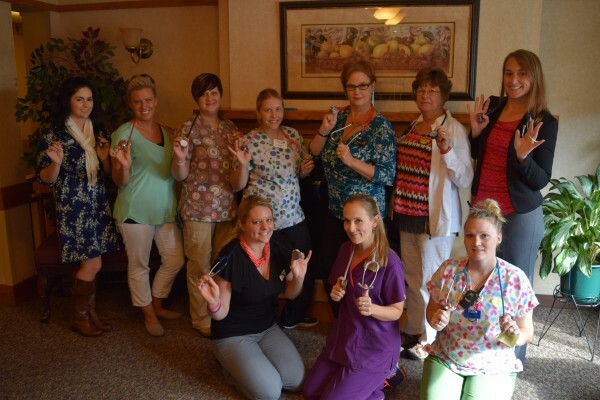 Back row: Stacy Sis, Raeann Marten, Jennifer Cone, Samantha Wilson, Melani Wheeler, Gloria Gesicki, Joni Blau Front row: Bree Fourtner, Theresa Brunner, Niki Pearson (There are many other nurses that work at Maplewood. The above nurses were able to break away for a picture.) As eonline.com printed: The View Co-Hosts Facing Backlash After Mocking Miss America Nurse Monologue: ''Why Does She Have a Doctor's Stethoscope?'' Of course, Behar misspoke, as a stethoscope isn't just for doctors—nurses wear them, too—a point that a number of nurses were more than happy to make. It was the 4th of July. Chores were to a point where they could be left for a while and picking up sweet corn for supper was the perfect excuse to take a ride on the Goldwing. The deer that jumped out on their way home was the game changer to a wonderful afternoon for Randy and Diane Puttkamer. As the motorcycle going 55 mph crashed, Randy strategically tried to cushion Diane’s fall by having her land on him. In the process, he sustained multiple fractures that required surgery. His lower right leg needed reassembly and his lung was deflated, plus both clavicles were broken, as were seven of his ribs. Diane experienced trauma to her arm. After 5 days at the UW Hospital, the Puttkamers came to Maplewood to receive extensive individualized rehabilitation and skilled care. When Randy arrived at Maplewood he could not put weight on his right leg and needed help with all functions of mobility such as transfers and ambulation. Surgeons predicted that he would need skilled assistance for at least 4 months and in the end his gait would be affected. Randy was a well-motivated individual with a positive attitude who worked through intense pain. At Maplewood, Randy had the benefit of receiving therapy 5 days a week, 2 times a day for 3 hours. Besides exercises to improve range-of-motion, strengthening and conditioning as well as facilitate activities of daily living, he benefited from the use of other modalities found at Maplewood. Electrical stimulation and diathermy are two examples of specialized modalities used to manage pain. Reduced pain allowed him to be more mobile and build strength. He made a remarkable recovery and was able to go home two months earlier than anticipated. Randy does not need any assistive devices to walk other than a boot for healing purposes. His surgeons are flabbergasted at how far and fast progress has been made. Diane also had rigorous therapy and has made great strides in her recovery. Fourteen years ago, she was in a car accident which left her with residual effects. Remarkably, through Maplewood’s rehabilitation, she is now able to use her arms in ways she had previously been unable to. Due to the injuries sustained to her right arm, she learned to use her left hard as she performs daily activities such as hanging laundry and cooking. September 5, 2015 was a momentous day, as Diane and Randy were able to return home. They proudly tell others that Maplewood is not only for older people. It’s a place for younger people who want to get back to their life. “From housekeeping to the top administration, everyone cares and made us feel special. The facility is clean, staff is courteous and knowledgeable, therapy is individualized with the intention to get us back home, and the atmosphere is enjoyable. Maplewood made a tragic thing, very workable and though it is tough to say, an enjoyable experience. God not only was watching over us that day, but also gave us the skilled people from Maplewood to continue our journey.” Local surgeon Dr Tony DeGiovanni provides a glowing review for the physical therapy care that he received at Maplewood of Sauk Prairie. Listen to his story about his physical therapy journey and how we were able to help him. In 2012, a video clip of a man named Henry who has severe dementia went viral. It was spectacular because he was reawakened after listening to Cab Calloway – one of his favorite musical artists. The video came from a documentary called Alive Inside: A Story of Music and Memory, which is based upon the healing power of personalized music. Music is linked to personal memories. Our brains are hard-wired to connect music with long-term memory. Simply hearing favorite songs from youth can bring back memories of a first love or specific life event. People with severe dementia benefit from music’s ability to tap into an individual’s emotional recall. A person suffering from Alzheimer’s has trouble recalling names, places and facts, but can recall memories from their youth. Favorite music or songs can trigger memory and connect personal experiences to that song which provides therapeutic benefits such as calming chaotic brain activity and enabling the listener to focus on the present moment allowing them to regain a connection with others. There is no cure for Alzheimer’s, yet regular users of a personalized music program will be more alert, engaged and conversant. Maplewood has embraced the “Music and Memory” therapeutic program which has been known to bring life-changing benefits to those with cognitive and physical impairments. These benefits include: •	Individuals who display low communication skills begin to talk or become social. •	One who is depressed may feel happier. •	A person who has been less mobile may experience increased physical activity. •	Individuals are more cooperative, attentive and willing to accept care which enables more person-centered care. •	Because individuals are calmer and less agitated, sundowning (confusion and restlessness) is often reduced or eliminated. •	Those who listen to pleasurable music can reduce pain levels by more than 20%. 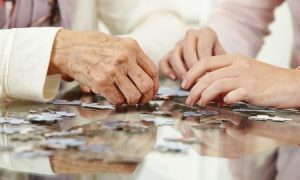 •	Family and staff are able to connect in a more meaningful way with residents Music and Memory is a personalized music program which utilizes iPods and is making a positive impact for a majority of residents living in care facilities. Maplewood Health and Rehabilitation Center – a 120 bed facility, located in Sauk City, WI, currently has 10 iPods to be used in this program and is looking for more so it can reach all its residents. Instead of filling the landfill with an old style iPod that was replaced with a smart phone or the latest and greatest model, consider donating your old iPod to Maplewood. “Any unused iPods that are lying around your home will work. 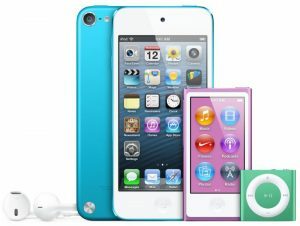 We are most interested in collecting any type of well-cared-for iPod and its charger. The iPods collected will be wiped clean of any music, restored to factory settings and put to good use at Maplewood. 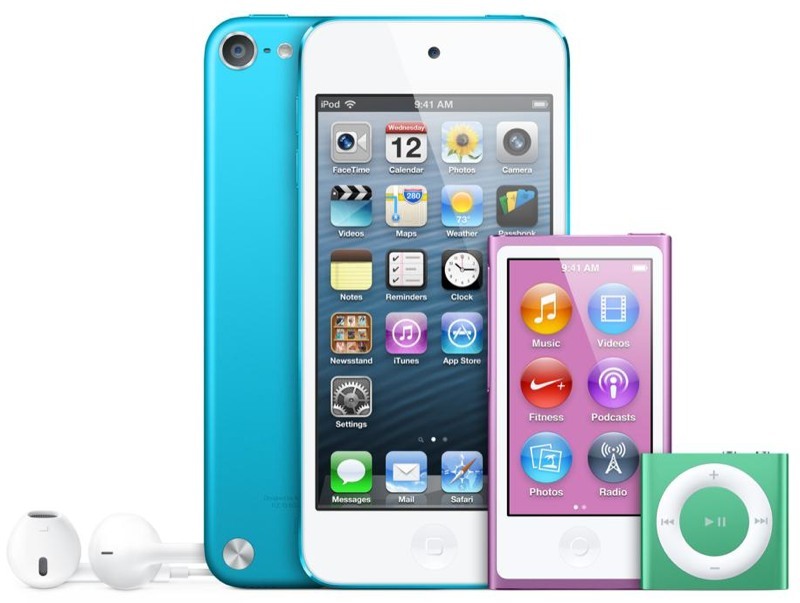 If you don’t have an iPod to donate and want to donate money, all funds collected will be used to purchase iPods and music from iTunes.”, explains Patty Spurgeon one of Maplewood’s certified Music and Memory technicians. Call Patty for more information, 608.643.3383 or feel free to drop off your gently used iPods & chargers at Maplewood of Sauk Prairie, 245 Sycamore St., Sauk City, WI. It’s not a trick, Maplewood and Maplewood Village welcomes the community to stop in at both buildings to get a treat on Halloween during the community wide trick or treating 4-7:00 pm, October 31st. It’s a fun way to show off costumes to delighted tenants in a safe environment.Open to the public is Maplewood’s Resident Council Bazaar where a variety of homemade baked treats and crafts are sold. It is held at Maplewood on Friday, Dec 6th, 8 - 4:00, and Sat., Dec. 7th, 8 to noon.Maplewood has served the Sauk Prairie and surrounding communities for 42 years and this past year has had a lot of changes. Rooms have been updated with deluxe mattresses, tvs and chairs, more rehabilitation services are offered, and a new administrator was gained. There is a lot to celebrate and Nursing Home Week, May 12-17 was the perfect venue to do just that. The theme for the week was "Team Care". Each day the residents and staff participated in a different activity. Every mother loves to have her children close. On Sunday, Mother's Day, Maplewood treated participants to an entertaining morning of music and a danish. The day was electric and the halls were brimming with smiles, flowers and families. On Monday, it was game day. The highlight was looking at 7 sets of pictures and finding the differences in each picture. Tuesday brought a pizza party in the park, complete with old fashion games. Wednesday many employees and family members made the day special. Together, their offerings created a pet parade with an array of animals including well-behaved dogs, a horse, guinea pig, love bird, Macaw and turtle. Thursday was a day filled with team work as the employees played team building games. It was quite a show for the residents to enjoy and it brought an already close group of employees even closer. Friday was another well enjoyed day. The game played was Family Feud and the answers to the questions related to Maplewood's current residents. It was another bonding experience as caretaker and resident talked about life "back in the day", reminiscing about their first car and favorite hobby. The activity department offers a lot of things for the residents to do on a daily basis. Celebrating during National Nursing Home week was an added bonus. The next celebration to note is on June 20th as residents and family members enjoy a summer picnic. Nate and Tonya Yngsdal are known to brighten the world for many people. They understand the value in making a person feel special. The Yngsdals recently assisted the Madison Coummunity Youth Group with their mission to help the homeless. Armed with a box of items to keep a person warm, a nutritious meal and over-the-counter medical supplies donated by their employer, Maplewood of Sauk Prairie, they were able to make a difference with the forgotten few who do not have a house to call home. At Cement Park, located on State Street, a table was set up and a spaghetti meal was served from Nescos. Those in need were able to get a warm meal and take a "snack bag" that was filled with a peanutbutter and jelly sandwich, string cheese, grapes and a cookie. Other items to ward off the cold were offered such as blankets, hats, gloves and coats. They found out the importance of ibuprofen - to ease muscles aches after sleeping on a cement bench, Chapstick - to protect lips from cracks caused by the coled and back packs - to allow a person to blend in. With a back pack to hold wordly posssessions, one can simply be a person riding the bus to get somewhere, rather than someone needing to stay warm. After working with the homeless, Nate said it was a reality check and he appreciates everything a lot more. He has seen how an illness or loss of a job can change a person's life. He knows he is among the fortunate who has a warm home, food in the refrigerator and many othe modern conveniences to go home to. There is something fundamentally important about reconnecting at the dinner table, "explains Karen Volker, Maplewood Village Manager. "Today the pace in which we live our lives does not always include having the whole family present for a meal. It is diabolically different from the child rearing days of our tenants." The Maplewood Village family recently shared a day of reconnecting in a style the tenants would have done in their youth... with a Valentine's brunch - around the dinner table. These once masters of the kitchen, creatively decorated homemade cookies and planned a brunch that was shared with those they love. Your memory. It contains all of your thoughts, life experiences, past events you’ve attended and names of your friends and family members or even the items that you need to buy at the grocery store. Your memory is the book of your life, past and present, that is kept tucked away within your mind. As we age, it’s not uncommon that our memories aren’t as good as they once were. However, for some, memory loss can be related to a clinical condition such as dementia or alzheimer’s disease. This can be extremely difficult for those that suffer from memory loss as well as their husbands or wives, sons or daughters, or any of their caregivers. When someone is having problems with their memory, what can be done? How do you help those who suffer? Is there a way to provide care for those who have a loss in their memory function? The good news is that there are things that can be done to help those who are having memory difficulties. Whether your loved one is just having some early stages of memory difficulties or has more advanced memory loss, there is help that can be provided. One type of assistance is through a memory care center where the individual is initially evaluated and are then involved in a memory care program to assist them with their difficulties. Maplewood of Sauk Prairie offers memory care services for those who are faced with the difficult challenges of memory loss, including dementia and alzheimer’s disease. Our memory care programs are offered within Evergreen Court, a special unit dedicated specifically for memory care residents. This secured area is staffed by our wonderful team who have been specially trained in the areas of memory care treatment. Evergreen Court offers 14 private rooms with handicap accessible bathrooms. This quaint setting provides ongoing support through memory activities, interactions with others and a place where special attention can be provided for the specific needs of each of our residents. Through a structured program, our staff works with our residents to include ongoing daily activities that supports their mind and supports them as a unique individual. Daily games, crafting, interactive activities and special events make Evergreen Court a special place to assist those who are having memory difficulties. In addition, this special unit has its own outdoor courtyard where you will find residents taking care of flowers, conversing with one another or just taking in some beautiful weather. At Maplewood, we understand the impact that memory loss, including dementia and alzheimer’s disease, can have on a family. You want the absolute best for those that you love and that’s exactly what we want as well. If you have a loved one that needs memory care treatment, we encourage you to call us and speak with us directly about how we may help. Call us at 608-643-3383. We would be happy to talk with you and answer all of the questions that you may have. After the faux pas, Joy Behar, from The View, made about “nursing” being the talent Miss Colorado, Kelley Johnson, showcased during the Miss America pageant, nurses at Maplewood show support for nurse Johnson. Of course, Behar misspoke, as a stethoscope isn’t just for doctors—nurses wear them, too—a point that a number of nurses were more than happy to make. It was the 4th of July. Chores were to a point where they could be left for a while and picking up sweet corn for supper was the perfect excuse to take a ride on the Goldwing. The deer that jumped out on their way home was the game changer to a wonderful afternoon for Randy and Diane Puttkamer. As the motorcycle going 55 mph crashed, Randy strategically tried to cushion Diane’s fall by having her land on him. In the process, he sustained multiple fractures that required surgery. His lower right leg needed reassembly and his lung was deflated, plus both clavicles were broken, as were seven of his ribs. Diane experienced trauma to her arm. After 5 days at the UW Hospital, the Puttkamers came to Maplewood to receive extensive individualized rehabilitation and skilled care. When Randy arrived at Maplewood he could not put weight on his right leg and needed help with all functions of mobility such as transfers and ambulation. Surgeons predicted that he would need skilled assistance for at least 4 months and in the end his gait would be affected. Randy was a well-motivated individual with a positive attitude who worked through intense pain. At Maplewood, Randy had the benefit of receiving therapy 5 days a week, 2 times a day for 3 hours. Besides exercises to improve range-of-motion, strengthening and conditioning as well as facilitate activities of daily living, he benefited from the use of other modalities found at Maplewood. Electrical stimulation and diathermy are two examples of specialized modalities used to manage pain. Reduced pain allowed him to be more mobile and build strength. He made a remarkable recovery and was able to go home two months earlier than anticipated. Randy does not need any assistive devices to walk other than a boot for healing purposes. His surgeons are flabbergasted at how far and fast progress has been made. Diane also had rigorous therapy and has made great strides in her recovery. Fourteen years ago, she was in a car accident which left her with residual effects. Remarkably, through Maplewood’s rehabilitation, she is now able to use her arms in ways she had previously been unable to. Due to the injuries sustained to her right arm, she learned to use her left hard as she performs daily activities such as hanging laundry and cooking. Local surgeon Dr Tony DeGiovanni provides a glowing review for the physical therapy care that he received at Maplewood of Sauk Prairie. Listen to his story about his physical therapy journey and how we were able to help him. In 2012, a video clip of a man named Henry who has severe dementia went viral. It was spectacular because he was reawakened after listening to Cab Calloway – one of his favorite musical artists. The video came from a documentary called Alive Inside: A Story of Music and Memory, which is based upon the healing power of personalized music. Music is linked to personal memories. Our brains are hard-wired to connect music with long-term memory. Simply hearing favorite songs from youth can bring back memories of a first love or specific life event. People with severe dementia benefit from music’s ability to tap into an individual’s emotional recall. A person suffering from Alzheimer’s has trouble recalling names, places and facts, but can recall memories from their youth. Favorite music or songs can trigger memory and connect personal experiences to that song which provides therapeutic benefits such as calming chaotic brain activity and enabling the listener to focus on the present moment allowing them to regain a connection with others. There is no cure for Alzheimer’s, yet regular users of a personalized music program will be more alert, engaged and conversant. •	Individuals who display low communication skills begin to talk or become social. •	One who is depressed may feel happier. •	A person who has been less mobile may experience increased physical activity. •	Individuals are more cooperative, attentive and willing to accept care which enables more person-centered care. •	Because individuals are calmer and less agitated, sundowning (confusion and restlessness) is often reduced or eliminated. •	Those who listen to pleasurable music can reduce pain levels by more than 20%. Music and Memory is a personalized music program which utilizes iPods and is making a positive impact for a majority of residents living in care facilities. Maplewood Health and Rehabilitation Center – a 120 bed facility, located in Sauk City, WI, currently has 10 iPods to be used in this program and is looking for more so it can reach all its residents. Instead of filling the landfill with an old style iPod that was replaced with a smart phone or the latest and greatest model, consider donating your old iPod to Maplewood. “Any unused iPods that are lying around your home will work. We are most interested in collecting any type of well-cared-for iPod and its charger. The iPods collected will be wiped clean of any music, restored to factory settings and put to good use at Maplewood. If you don’t have an iPod to donate and want to donate money, all funds collected will be used to purchase iPods and music from iTunes.”, explains Patty Spurgeon one of Maplewood’s certified Music and Memory technicians. Call Patty for more information, 608.643.3383 or feel free to drop off your gently used iPods & chargers at Maplewood of Sauk Prairie, 245 Sycamore St., Sauk City, WI. It’s not a trick, Maplewood and Maplewood Village welcomes the community to stop in at both buildings to get a treat on Halloween during the community wide trick or treating 4-7:00 pm, October 31st. It’s a fun way to show off costumes to delighted tenants in a safe environment. Open to the public is Maplewood’s Resident Council Bazaar where a variety of homemade baked treats and crafts are sold. It is held at Maplewood on Friday, Dec 6th, 8 – 4:00, and Sat., Dec. 7th, 8 to noon. Maplewood has served the Sauk Prairie and surrounding communities for 42 years and this past year has had a lot of changes. Rooms have been updated with deluxe mattresses, tvs and chairs, more rehabilitation services are offered, and a new administrator was gained. There is a lot to celebrate and Nursing Home Week, May 12-17 was the perfect venue to do just that. The theme for the week was “Team Care”. Each day the residents and staff participated in a different activity. Every mother loves to have her children close. On Sunday, Mother’s Day, Maplewood treated participants to an entertaining morning of music and a danish. The day was electric and the halls were brimming with smiles, flowers and families. On Monday, it was game day. The highlight was looking at 7 sets of pictures and finding the differences in each picture. Tuesday brought a pizza party in the park, complete with old fashion games. Wednesday many employees and family members made the day special. Together, their offerings created a pet parade with an array of animals including well-behaved dogs, a horse, guinea pig, love bird, Macaw and turtle. Thursday was a day filled with team work as the employees played team building games. It was quite a show for the residents to enjoy and it brought an already close group of employees even closer. Friday was another well enjoyed day. The game played was Family Feud and the answers to the questions related to Maplewood’s current residents. It was another bonding experience as caretaker and resident talked about life “back in the day”, reminiscing about their first car and favorite hobby. The activity department offers a lot of things for the residents to do on a daily basis. Celebrating during National Nursing Home week was an added bonus. The next celebration to note is on June 20th as residents and family members enjoy a summer picnic. They found out the importance of ibuprofen – to ease muscles aches after sleeping on a cement bench, Chapstick – to protect lips from cracks caused by the coled and back packs – to allow a person to blend in. With a back pack to hold wordly posssessions, one can simply be a person riding the bus to get somewhere, rather than someone needing to stay warm. The Maplewood Village family recently shared a day of reconnecting in a style the tenants would have done in their youth… with a Valentine's brunch – around the dinner table. These once masters of the kitchen, creatively decorated homemade cookies and planned a brunch that was shared with those they love.